This two semester post-graduate certificate program will provide nurses with specialized training related to the prevention and management of chronic diseases. Chronic diseases may impair everyday physical and mental functions and reduce one’s ability to perform daily activities. 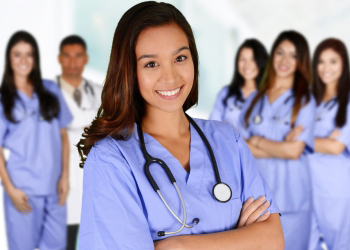 Chronic disease management is a specialization within the nursing field, which allows nurses to apply their practical knowledge to create patient care programs for chronic conditions. Graduates of this program will be well-equipped to treat patients with chronic health conditions including cardiovascular diseases (heart and stroke), cancer, diabetes, arthritis, chronic respiratory diseases, and chronic depression. They will also acquire the skills to manage a patient’s chronic condition, plan an individualized intervention plan, educate patients’ on self- management plans, and assess a patient’s condition based on outcome tools. Graduates from this program will be equipped with the skills to manage a patient’s chronic condition, plan an individualized intervention plan, educate patients’ on self- management plans, and assess a patient’s condition based on outcome tools. Practice chronic disease management in a safe and ethical manner, by complying with Canadian health care system regulations and organizational policies. Apply the concepts of chronic disease management and evidence-based practices to ensure the delivery of comprehensive care to patients living with a chronic disease. Use tools, strategies and available resources to assess patient’s conditions and respond to environmental, physical and psycho social stress or affecting self and others. Design individualized plans to provide patients with optimal person-centered and family- centered care. Plan interventions to modify patient’s behavior and lifestyle to support patients in self- managing their chronic disease. Communicate chronic disease self-management plans for patients by collaborating with members of the inter professional health care team and the wider health care community. Evaluate chronic disease interventions and patient outcomes to support modification of individualized plans. Disseminate chronic disease management information for promotion of health, wellness, and disease prevention, and inclusive-community building to a variety of audiences. Engage in ongoing professional development to enhance the practice of patient care and chronic disease management.